Welcome to our World Card Making Day Blog Hop! 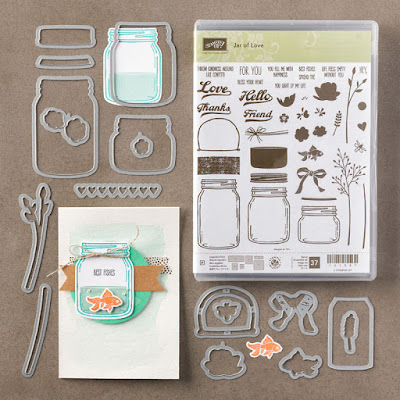 All of the projects we have made for you today are made using current Stampin' Up!® Products! How exciting!! It's so great to join together with so many demonstrators from all over the world to celebrate this crafty event, we have lots of amazing inspiration for you today and I hope you enjoy looking at our projects! My name is Kim Price and I live in Somerset in the UK. 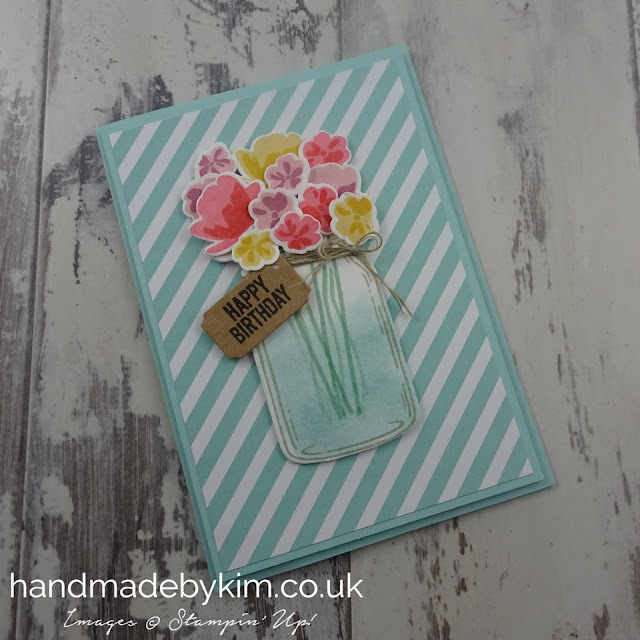 You are currently visiting my blog Handmade by Kim. There is a list at the end of this post which will help you to move along from blog to blog so you see all 20 amazing projects. I wonder how many different countries you will be visiting today? 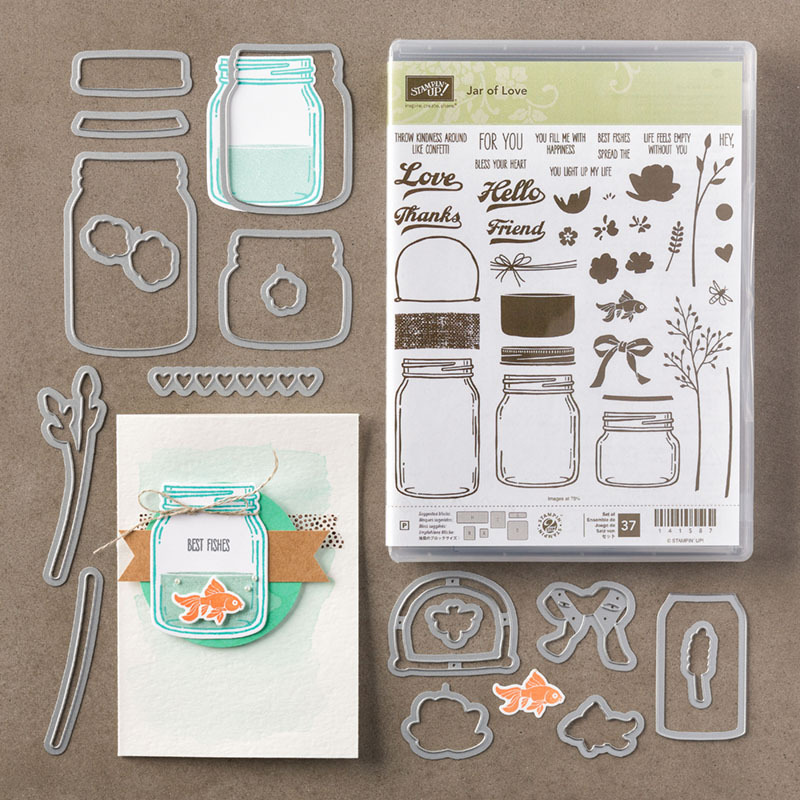 My project today features the Jar of Love Photopolymer Stamp Set and the Everyday Jars Framelit Dies. There are 37 stamps and 17 dies between these two sets - what a bargain! Did you know you can buy both of these sets as a bundle and save 10%! 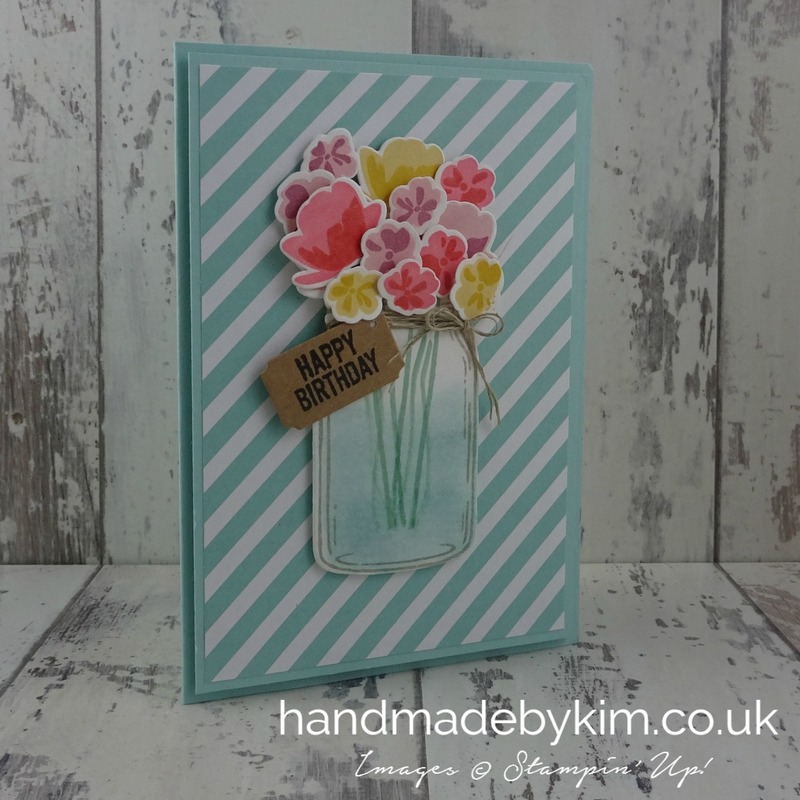 To make my card, I have used the colour Pool Party for the card base and have chosen the same colour paper from the Subtles Designer Series Paper to coordinate. I stamped the image of the jar in Crumb Cake ink onto Whisper White cardstock and used the matching framelit to die cut it using my Big Shot machine. Next I stamped some stems onto the jar using Mint Macaron ink and then lightly sponged the lower half of the jar with Pool Party ink to look like water. I then wrapped some Linen Thread around the neck of the jar and tied a small bow before fixing the jar to the card using Stampin' Dimensionals. Next I did some 2-step stamping and stamped the flowers in 3 different colours using 2 shades that complimented each other - Peach (Calypso Coral ink and Flirty Flamingo ink), Yellow (So Saffron ink and Crushed Curry ink) and Pink (Blushing Bride ink and Sweet Sugarplum ink). I attached Stampin' Dimensionals to the back of each individual flower and arranged them at the top of the jar. 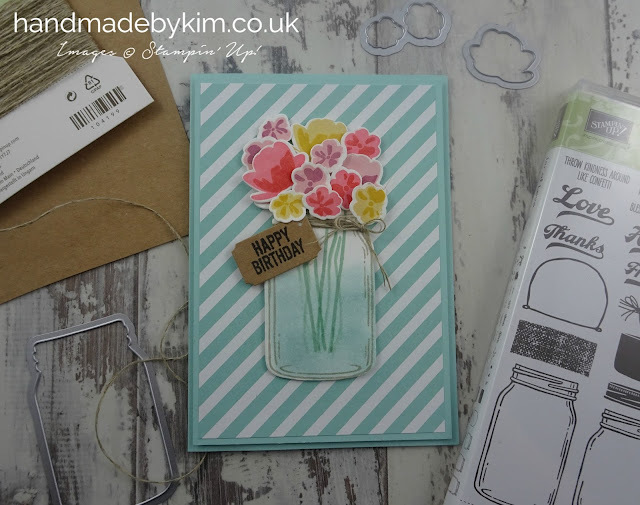 To complete the card I added the sentiment Happy Birthday using a stamp from the Balloon Builders stamp set that fit perfectly into the smallest die from Tags & Labels Framelit Dies. If you live in the UK and you have any questions, or you are interested in purchasing any of the Stampin' Up! products that I've used to make this card, please do get in touch with me. You can order online 24/7 by visiting my online shop (found in the menu at the top of the screen), or you can contact me through any of my social media buttons. You can subscribe to receive notifications of my new blog posts by clicking here, it would genuinley make my day to welcome new subscribers to my blog. Thank you so much for visiting my blog today. Remember that you currently are at my blog - Kim Price, so make sure you check out the blog hop line up list below to see who is next in the list. Simply click on their name to visit their blog. ....... and don't forget to leave us a comment to let us know you stopped by - we just love to receive comments! Have a great weekend and enjoy blog hopping! This is a lovely card. I love this set. 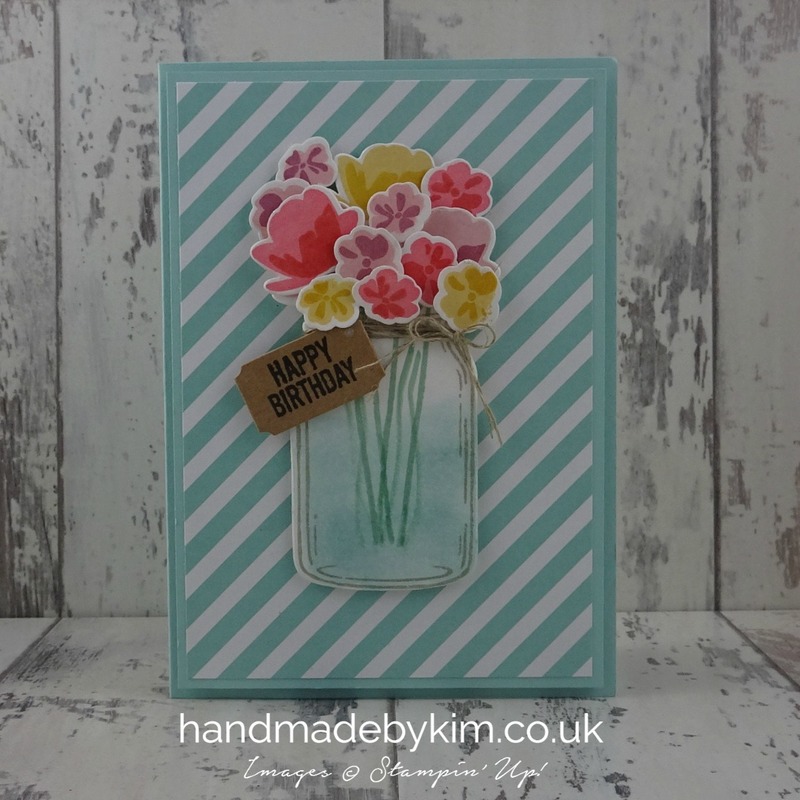 One of the best flower bouquet cards I've seen made with this set. Really lovely. Thanks for sharing! I do love the 'jar of love' set, but haven't played with them for a while - you have inspired me to have another play - thank you. Lovely card. It's spring here in Australia so this card is inspiring me to embrace the season and send out some flower love.